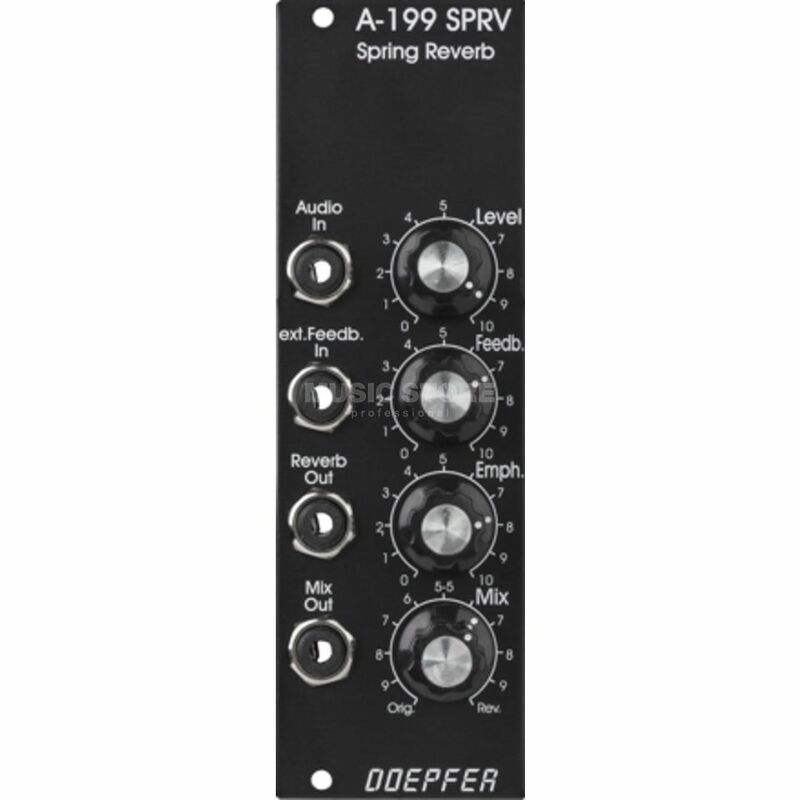 The Doepfer A-199 Spring Reverb Vintage Edition is an electronically simulated dense reverb generated via the differing properties of the 3 internal spring coils. This module also incorporates some features that are not always found in reverb units. Beneath the Audio In & Level knob are an input for external feedback sources and Feedback knob. The springs can even be used to self-oscillate if no external source has been connected but by routing the Reverb Output to an external module and then outputting the module back to the External Feedback Input of the A-199 a feedback loop is created. The Emphasis control adjusts the accentuation of mid-frequencies. A Mix knob controls the Wet/Dry balance of the module. The vintage edition of the A-199 retains all the features of the original but appears in the dark grey vintage style.